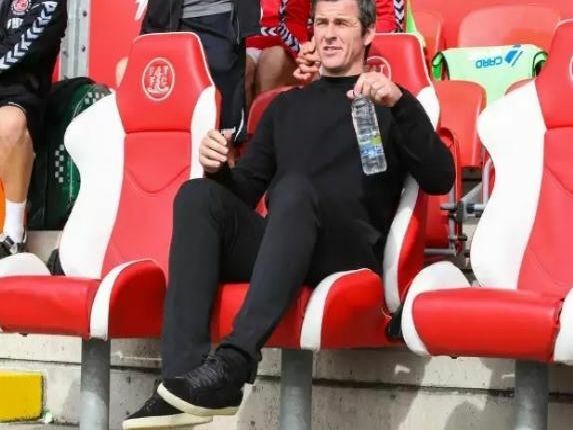 There have been 11 exits at Fleetwood Town this January transfer window as Joey Barton refreshed his squad. A number of players have left Highbury on a permanent or loan basis this month. Reflect on who has departed Town by viewing our gallery below. After falling out of favour under Joey Barton Bolger left Fleetwood to join League Two side Lincoln City on a permanent deal. He joined Town in the summer of 2016 and racked up 84 league appearances. Long was brought in by Barton in the summer. The forward had been training with the U18 side prior to the cancellation of his contract by mutual consent. He has since moved to Blackpool. Grant was another Town man who spent the last of his days at Highbury training with the U18 side. 'The 28-year-old joined Wrexham on a short term loan deal in November before clinching a permanent move in January. Urwin turned his loan move at National League North leaders Chorley into a permanent switch earlier this week. His contract was terminated by mutual consent.